An attractive mid twenty female had an injury during dance class ten years ago. 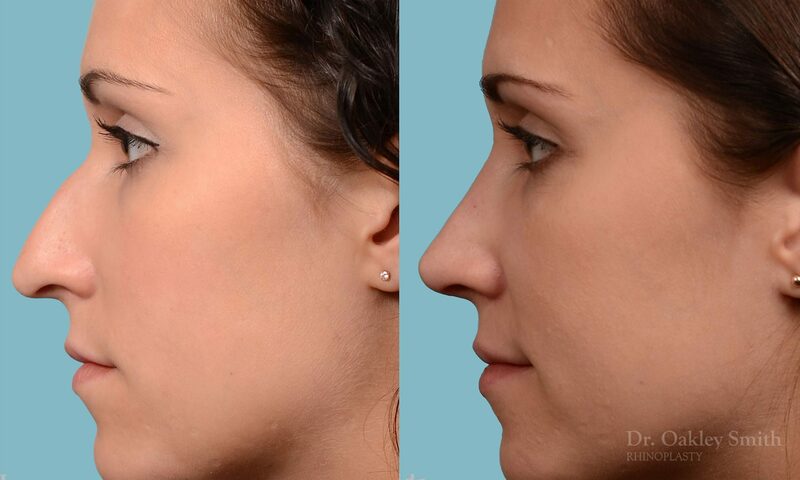 The result was restricted nasal breathing, and a tender nasal bridge where a bony ridge had formed. She also wanted her nasal bump replaced with a gentle, soft appearing profile curve, her downwards pointing nasal tip turned up slightly, the curved bridge straightened and her nose made overall smaller. 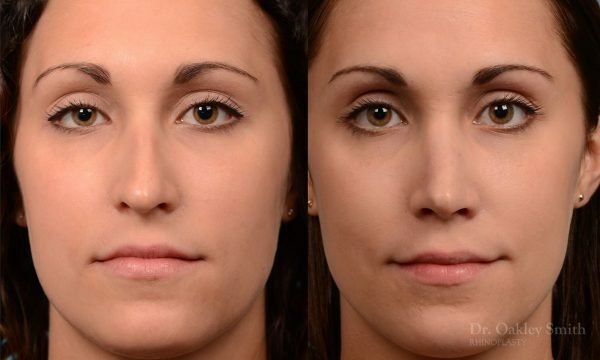 Because she has slightly thinner than average skin, she had a good possibility of improved definition as the cartilages below her skin can be easily seen. However, this thinness also unfortunately placed her at greater risk for visible irregularities which aren’t as well covered. 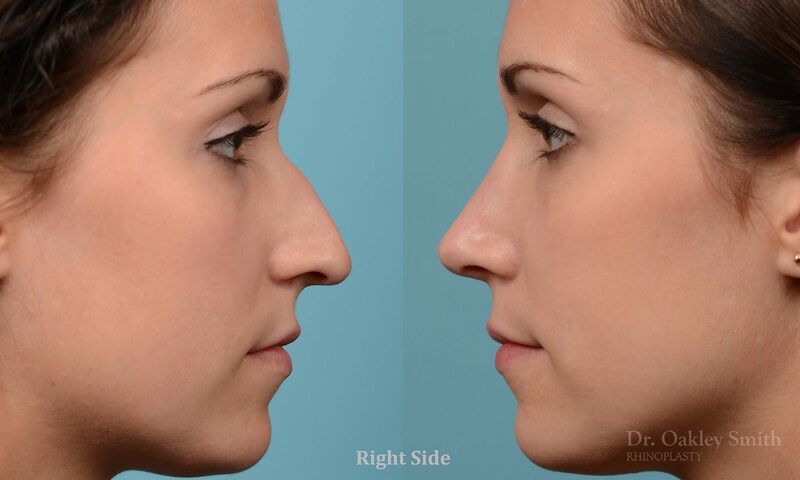 There is a trade off with the type of nasal skin. Too thin and every tiny, little asymmetry or irregularity will be visible as there’s nothing to smooth them out. 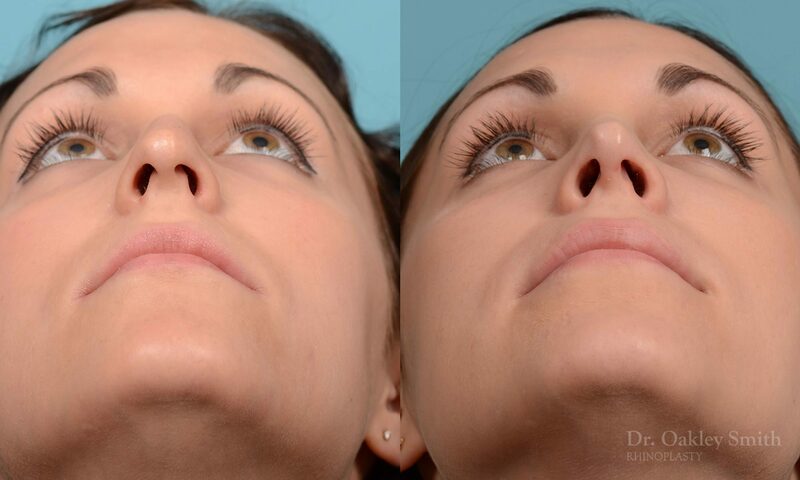 Skin that is too thick results in little change in the nasal shape because the overlying soft tissue masks all the structural changes below. So there is a ‘sweet spot’ or ‘goldilocks’ thickness where one can have the best of both worlds. 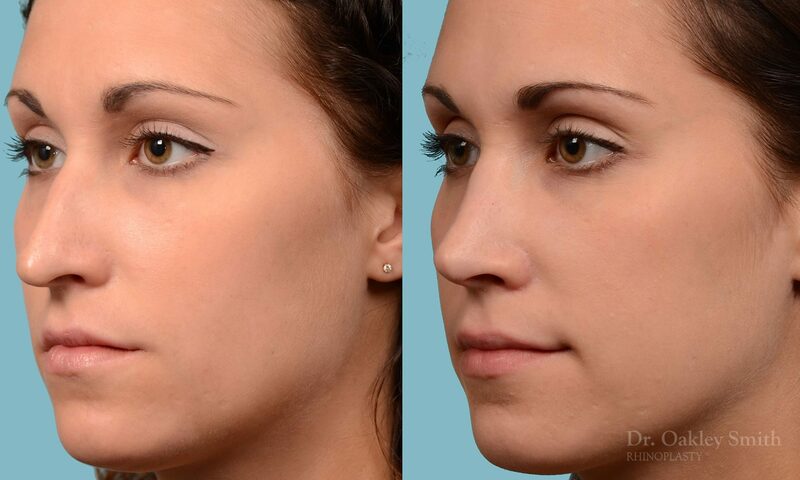 Careful examination of her post rhinoplasty results will show to the critical eye several small imperfections. For the majority of patients these don’t detract from their enjoyment and increased feeling of self confidence. Unfortunately in a small number of patients, subtle imperfections can block a person from feeling good and happy about their overall improved outcome. Intellectually they recognize their nose is better, but emotionally they can’t feel it. 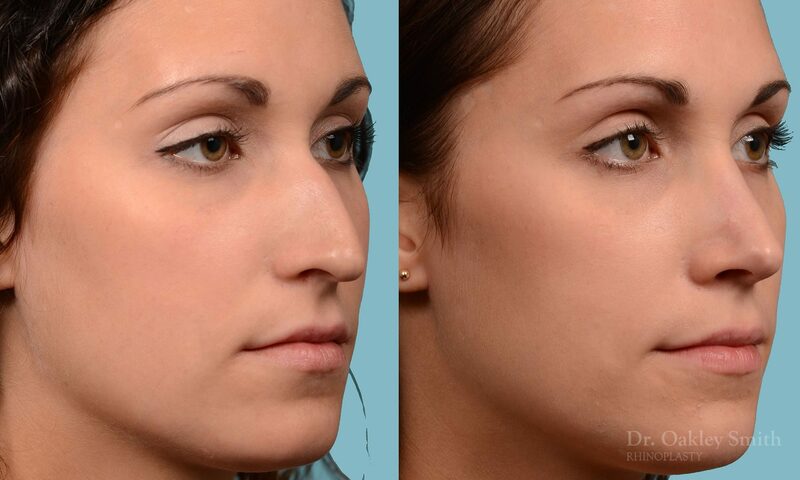 Before and after rhinoplasty photos by Facial Plastic Surgeon Dr. Oakley Smith, Toronto, Ontario.